After returning to the Diotech compound and undergoing an experimental new memory alteration, Seraphina is now a loyal, obedient servant to Dr. Alixter and the powerful company that created her. Happy and in love with Kaelen, another scientifically-enhanced human designed to be her perfect match, Sera's history with a boy named Zen is just a distant memory from a rebellious past she longs to forget. But as Sera and Kaelen embark on a nationwide tour to promote Diotech's new product line—a collection of controversial genetic modifications available to the public—Sera's mind starts to rebel. She can't stop the memories of Zen from creeping back in. As more secrets are revealed, more enemies are uncovered, and the reality of a Diotech-controlled world grows closer every day, Sera will have to choose where her true loyalties lie, but it's a choice that may cost her everything she's ever loved. 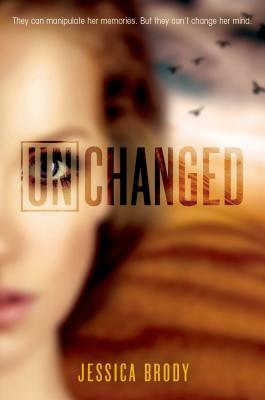 Unchanged by Jessica Brody is the stunning conclusion to the Unremembered Trilogy.